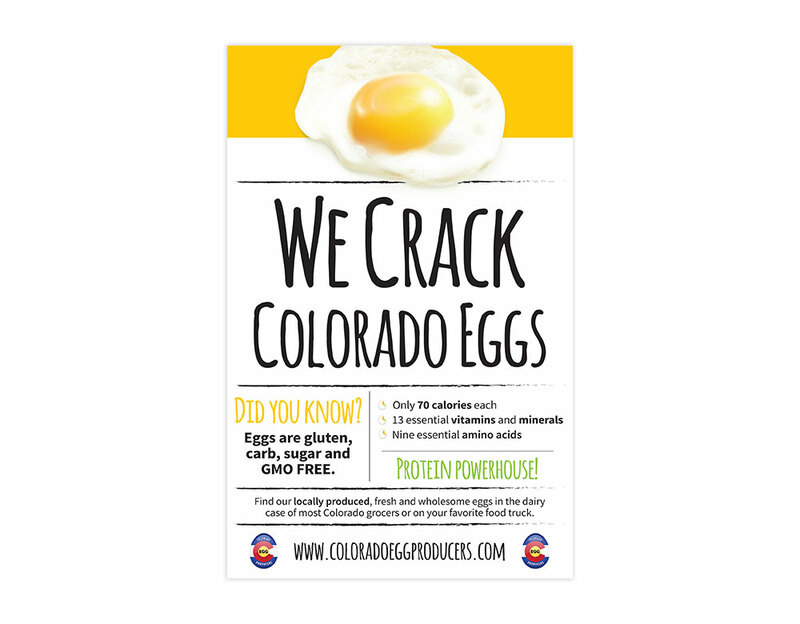 The Colorado Egg Producers (CEP) Association is a membership organization representing six egg farms throughout the state. 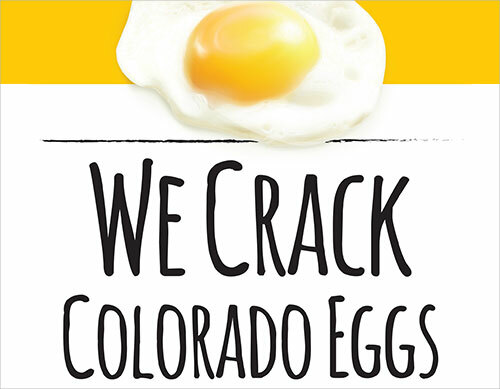 These egg farms provide jobs for more than 250 families and supply nearly $100 million annually to the state’s economy. 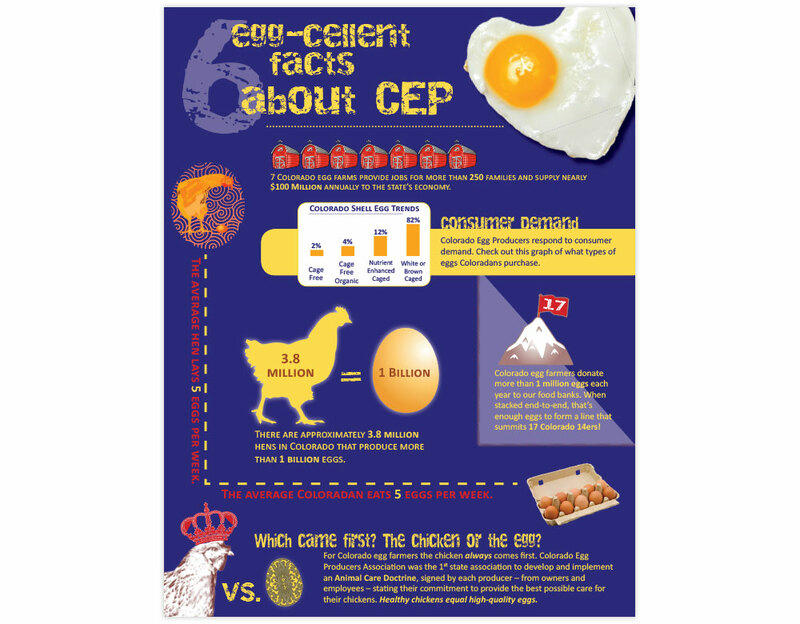 TBG was hired to develop and implement a statewide public awareness and education campaign to raise awareness of CEP, its Animal Care Doctrine and egg-related issues. From 2009 forward, TBG has served as CEP’s marketing and communication team. 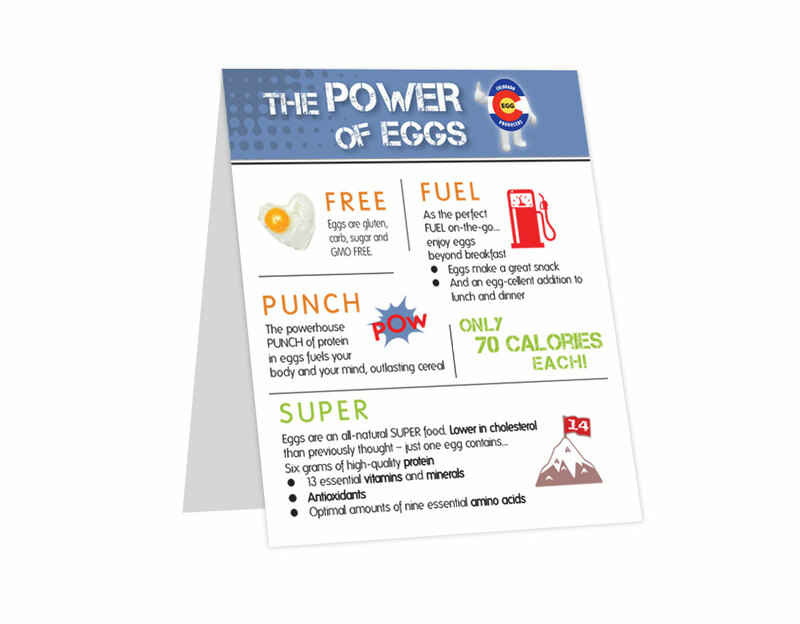 From monthly educational community columns and issues-related letters-to-the-editor to media events, news conferences and community events, TBG has utilized a wide range of tactics to continually raise awareness of CEP and its key messages. Media coverage secured by TBG from September 2009 through March 2015 resulted in a total of more than 21 million impressions at a PR value of more than $1.5 million. TBG launched CEP into the world of social media in 2011 and has helped to grow and develop a loyal base of engaged followers on Facebook, Twitter and Pinterest.